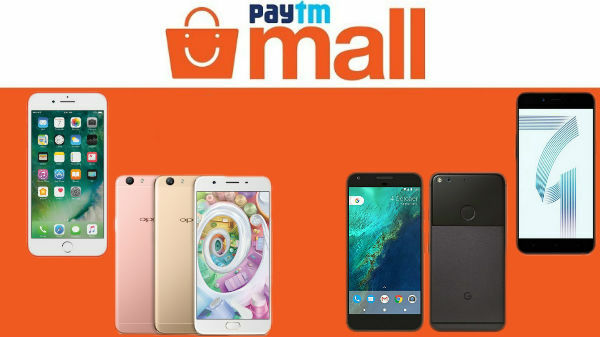 Paytm Ecommerce Pvt Ltd heading Paytm Mall has launched its discounts deals on leading smartphone brands especially on Apple, Samsung, Motorola, Vivo, Oppo and many. like 64GB iPhone X at Rs 89,900 down from Rs 92,340. Customers can also avail a cashback of Rs 8,500 which will be credited to their Paytm wallet within 24 hours of the product being shipped. Coming to iPhone 8 Plus (64GB) is selling at a discounted price of Rs 75,759 and a cashback of Rs 7,000, making its final price 68,759. The cashback on the iPhone 8 is of Rs 6,500 along with additional 10% cashback on ICICI Bank credit card. This offer is also valid on EMI.